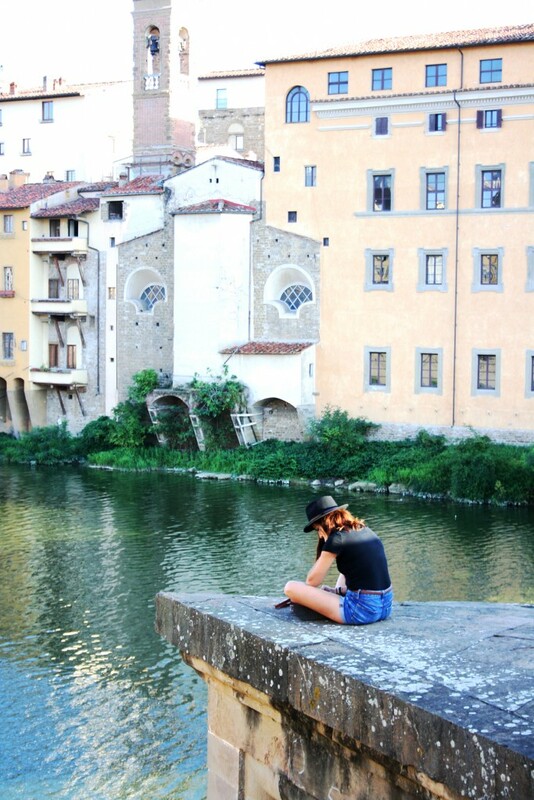 Today is Ferragosto—an Italian prized holiday that makes you a loser if you stay home—and while most of my friends are out at sea somewhere Nicco, Macintosh our yellow lab and I have decided to stay in Florence and experience a slower life than normal. It’s so slow that I’m barely able to keep my eyes open while I write this! Last year during Ferragosto we were hiking some mountain in Piedmont, eating crepes and eating the best steak tartare ever. Seriously, the meat up there is filled with rainbows and glitter. 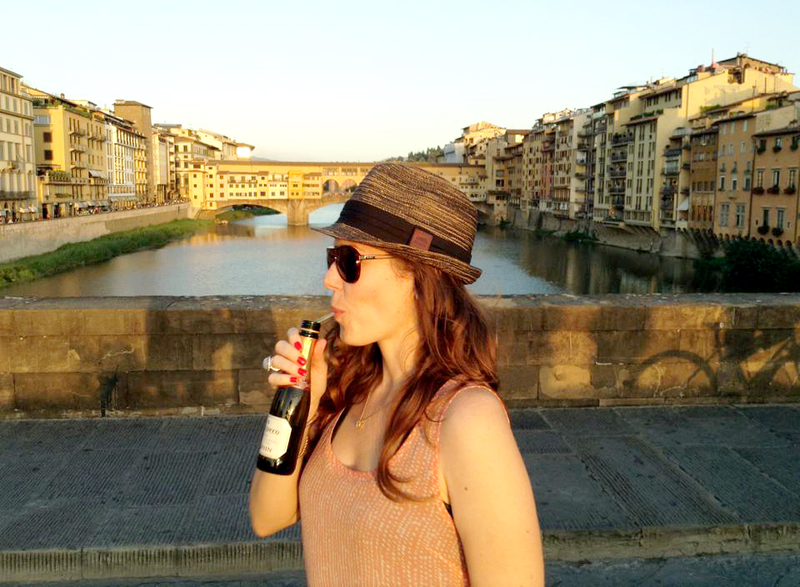 This year we were not as motivated to leave Florence, maybe because the weather has been bearable. Normally, the heat makes me crabby and I can’t bare to stay in town. Maybe we stayed because we were too lazy to look into travel options. Maybe I wanted to stay and relax since September and October will be nuts. View from the Torre di San Niccolò, perhaps better than Piazzale Michelangelo! So far this quiet time in Florence has been amazing! I got to try out a new gluten free restaurant in Florence called Quinoa with a fellow expat from Cali, Molly. I’ve had more time to meet up with friends for aperitivo almost every night and climb tours, like the newly opened Torre di San Niccolò with my girl Nardia. Slow is nice. Clients are out of town, there are no emails and besides working at a minimal level the main job of the day is walking my dog and making gazpacho and watermelon granitas. Poor me. 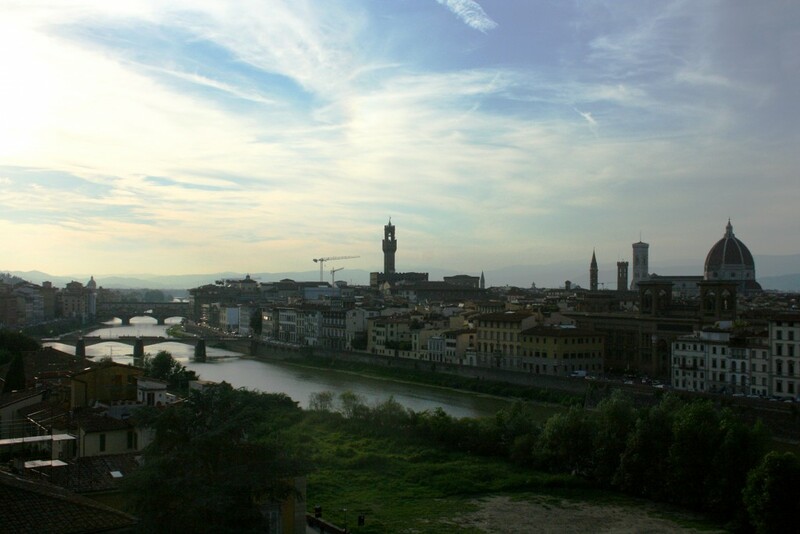 So, what the hell are we going to do today for Ferragosto in Florence? Today’s the day to get motivated and FINALLY check out Forte Belvedere’s contemporary art exhibit Prospettiva Vegetale—meaning Plant Perspective—by Italian artist Giuseppe Penone. This is where Kim Kardashian and Kanye got married, which was great for tourism I’m sure. For 5€ each, Nicco and I can enjoy some of the best views in Florence, walk in a fort that was built in 1595 and see some weird art. Then it’s time to check out a sandcastle competition at Arno Beach below Easy Living bar. Easy Living’s the perfect bar for summer, for 6€ you can get an amazing cocktail and fill up on tripe ceviche, pasta and curry couscous or whatever they’re serving for aperitivo. They also have a full menu decently price and the best views town. It’s a nice change from the 14€ cocktails at any of the luxury hotel rooftop bars. 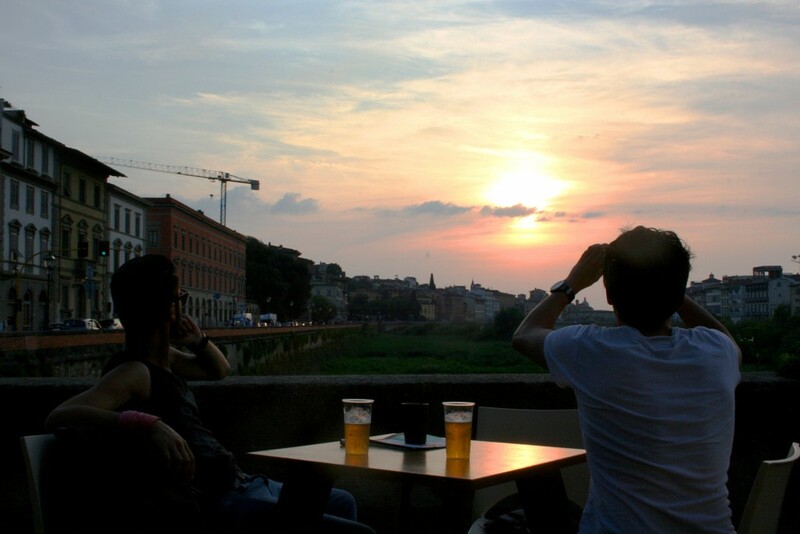 Hanging out at Easy Living bar in Florence, practically sitting on top of the Arno River. My brother always let me torture him, fun memories! Back to the sandcastle competition…supposedly it starts at 3.30 and ends around 9pm, so we’ll swing by during sunset and see how creative people can get. Being from Miami you’d think I was a sandcastle whiz, but my talent actually lies in burying either one of my four brothers deep in the sand. Last night was so perfect, I got to ride my bike around downtown and enjoyed some Prosecco on Ponte Santa Trinità with Nicco. Let’s see how tonight ends, hopefully not too crazy so we can explore some more tomorrow! What are you up to for Ferragosto? Have you ever stayed in town and just relaxed instead of hitting the road or crowded beaches? At least you knew it was a holiday! I didn’t even know it was a holiday in Madrid until I left my house yesterday and realized that nothing was open…major loser status. Hahaaa, omg, that’s pretty awesome! I bet you were wondering if something bad happened. At least if feels like the end of the world in my neighborhood. It’s empty! Just catching up on articles…love this! 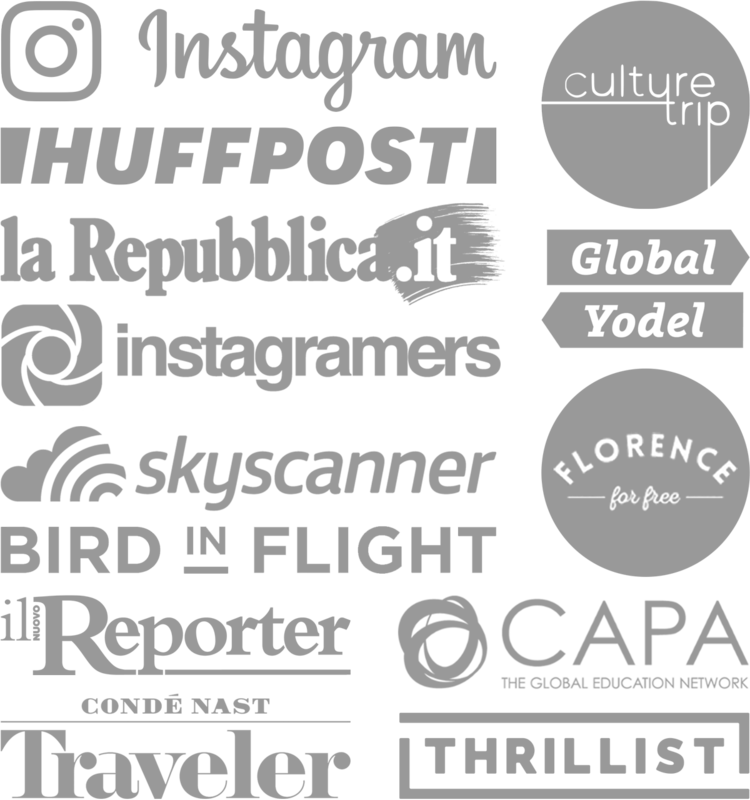 Great recommendations and shows Florence can be fun in August (weather pending). Oh, and prosecco, always! I’m so glad we stayed in town this year. It made me appreciate the city more and it gave me a more local feel for things. Glad you were around to live a slow paced August with me!